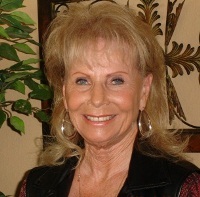 Before obtaining her license in 1968, Shirley attended Tyler Junior College and East Texas State University. She also obtained her broker’s license in 1979. Her real estate career includes special training in all areas, including sales, property management, office management, construction, and agent training. After working for several companies in the Tyler area, Shirley began her association with Zack Williams Real Estate as the office manager of the office in Marshall. She feels that her success over the last 39 years is mirrored by repeat client sales. With the winning combination of a ready smile and her unique personality, she never meets a stranger. The experience she brings has made her capable of providing the highest level of satisfaction to her clients. Shirley is the proud mother of three children. Her son Ty is married to Shannon, who is also an agent with Zack Williams Real Estate. Along with daughters Amy and Debbie, she has 8 grandchildren. While residing in Longview, she enjoy her many friends, horses, boxer dog and cats. Shirley would like to invite everyone to contact her about their real estate needs.